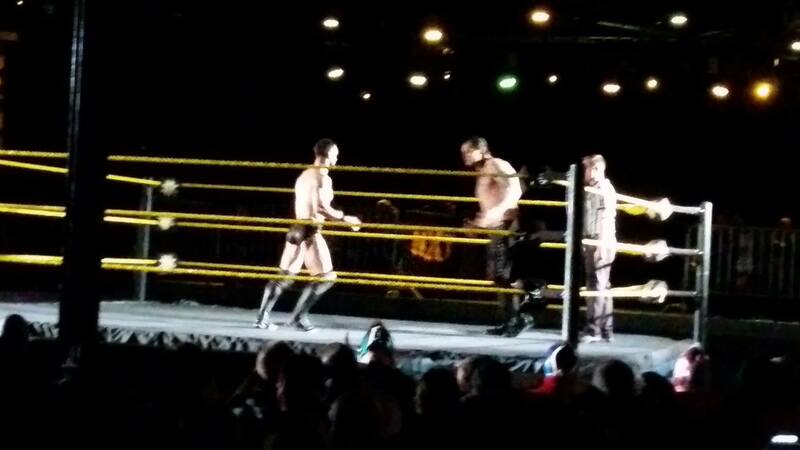 2/4 WWE NXT in Memphis – Second Detailed Report on Balor vs. Corbin, Joe, where was Apollo Crews? 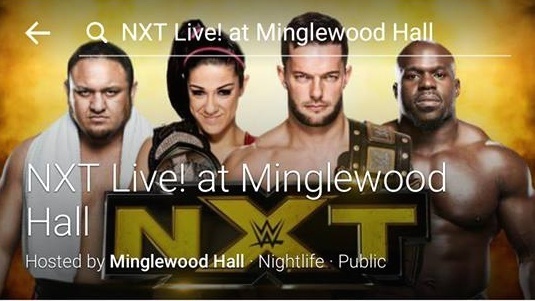 Hot crowd for NXT’s first time in Memphis at a real intimate venue. They were selling 50 vintage-looking Memphis-specific match card posters by everyone for $75. Overall, a great show despite the distractions as previously mentioned. $25, $45, and $75 tickets were available for the show though quickly sold out. I had a $25 general admission (“standing”) ticket and when those with a seat stood up it was hard to see the action in the ring. The lighting was also hit or miss throughout the night. At some points, the ring was lit up a lot more than others with at least one chant of “Turn the lights on.” There did appear to be a lighting grid above the ring, though it was hardly used. Limited offerings at the merch stand. T-shirts for sale included Balor, Joe, Zayn, Bayley, and Enzo & Cass (though they were not on the show). In my section at least, there were several “How You Doin’” chants throughout the night. Apollo Crews was also not on the show though he was in the promotional materials. It appears he was moved to the home tour in Florida. Great week overall for Memphis as Smackdown was also in the city Tuesday evening. Memphis Wildfire Wrestling wrestler Dustin Starr was in the audience and free tickets were being passed out at the exit for MWF’s upcoming Minglewood Hall show on Sunday, February 28.